Explore lush forests, view-packed mountain summits, and tumbling waterfalls on our top ten favorite hikes within 40 miles of downtown Asheville. Rolling mountains cloaked in lush, green forests stretch to infinity on the horizon. Sun-drenched, grassy mountain balds reach skyward, covered in wild blueberries and abundant wildflowers. 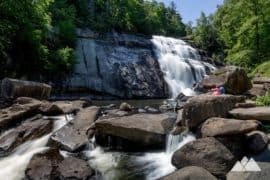 Crystal-clear trout streams tumble over moss-covered boulders, cascading in currents of whitewater and tumbling over breathtaking waterfalls. 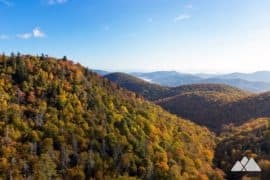 Towering ridge lines frame plunging valleys here in the southernmost stretches of the Appalachian Mountains, some of the oldest mountains in the world. 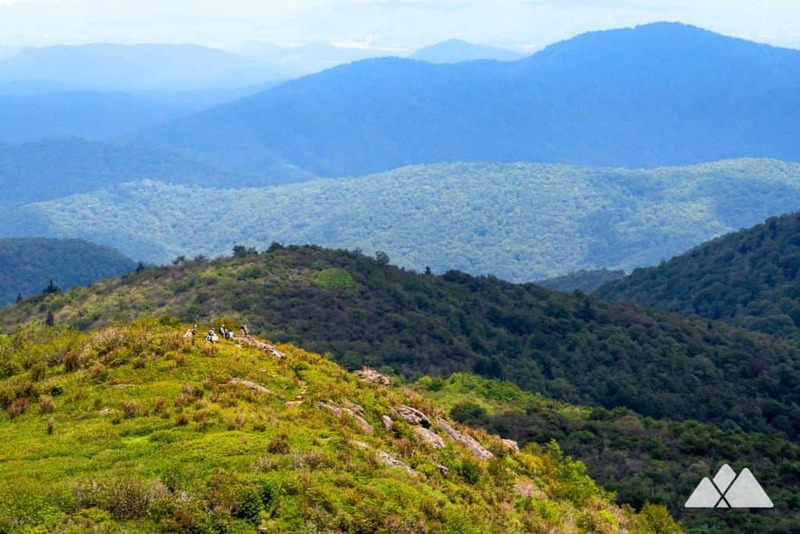 And winding and weaving through this stunning terrain and stretches of the Pisgah National Forest are meandering trails and footpaths that explore their beauty, offering some seriously exceptional hiking near Asheville, one of the South’s most beloved mountain towns. 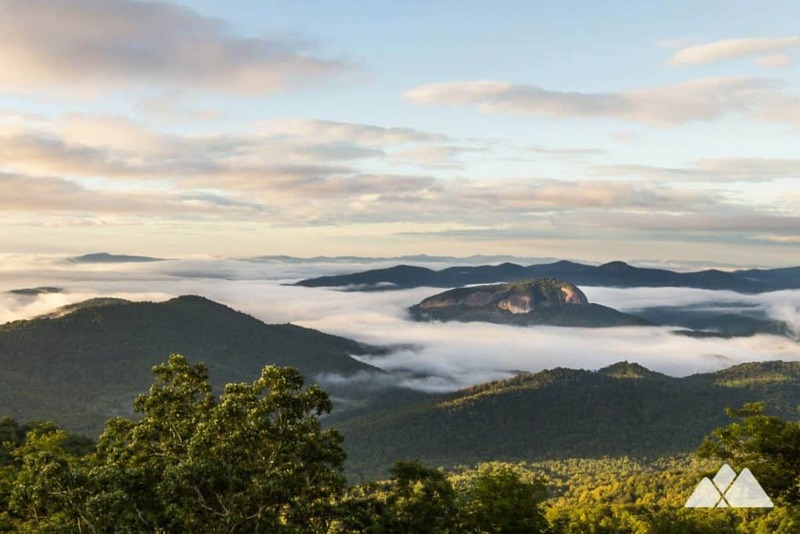 Nestled in the rolling Blue Ridge Mountains of Western NC, our town is well-loved for its vibrant culture, abundant arts, fantastic cuisine, and close proximity to some of the best trails in the South. 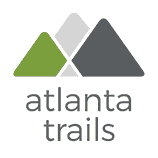 These are our top ten favorite hiking trails, all within a 40-mile drive from our city’s downtown at Pack Square. 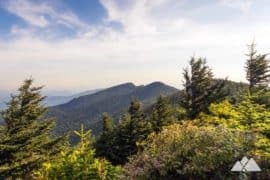 Grab your backpack, favorite boots and hiking gear, and hit the trail for some seriously stunning views and some sweet-scented fresh mountain air. Wherever your adventures take you, please remember to always leave no trace to help preserve the beauty of these forests and wilderness areas. And please follow these tips for good trail etiquette to help make sure everyone has an equally enjoyable time. 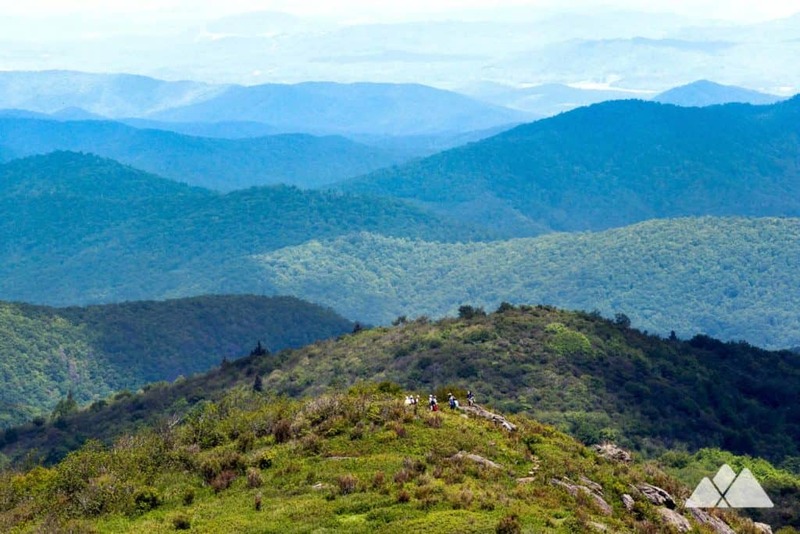 It’s one of our all-time favorite hikes close to town, just north off the winding meanders of the Blue Ridge Parkway. 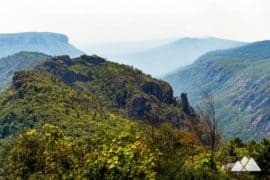 This hike on the Mountains to Sea Trail follows an old gravel road through a scenic forest, catching beautiful views above the Parkway from an angled rock outcrop. The route ends at the remains of Rattlesnake Lodge, a once-grand 1900s summer estate, and explores the stacked-stone foundations of the lodge, swimming pool, barn, and several other structures. And the surrounding forest is simply outstanding in autumn! 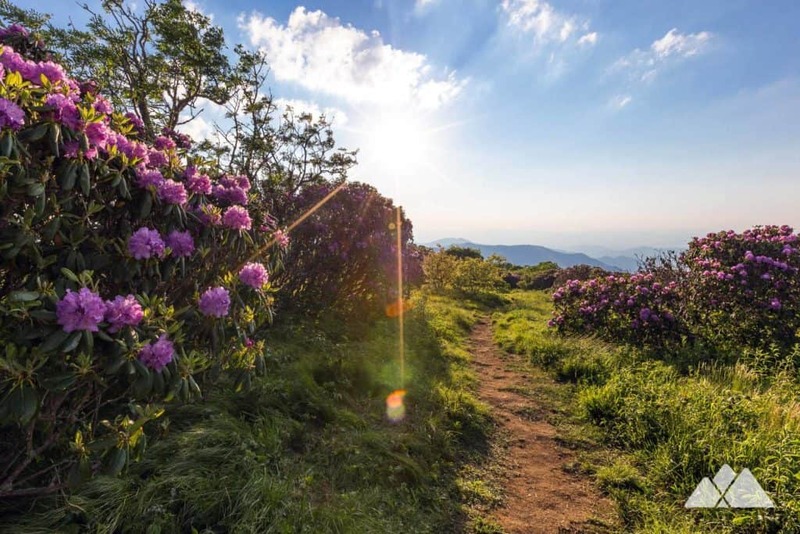 Explore an outstandingly beautiful high-elevation forest on this moderate hike at Craggy Gardens, climbing through dense tunnels of blooming rhododendron. 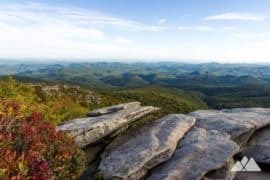 At the summit, wind-blown grasses frame wildflowers and blooming flame azeleas in spring, and views stretch to the neaby crag at Craggy Pinnacle and far into the rolling blue yonder. 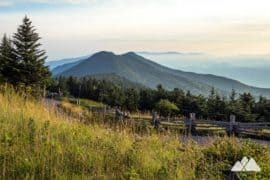 Climbing through lush, rocky terrain from the Blue Ridge Parkway, the Mount Pisgah Trail summits a lofty mountaintop and explores a forest filled with springtime blooms along the way. 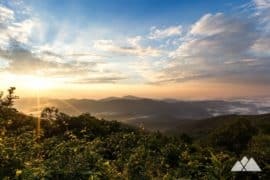 A large communication tower borders the viewing platform at the summit – but the views of neighboring summits are well worth the climb, including the nearby Fryingpan Mountain. 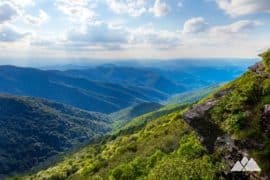 It’s one of the most popular stops on the Blue Ridge Parkway south of town – and one of our all-time favorite hiking spots in Western NC. 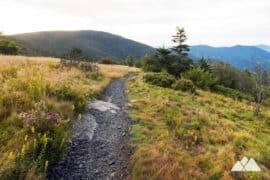 The Graveyard Fields Trail loops through a spectacularly beautiful valley just below Black Balsam Knob, diving through tunnels of gnarly-branched rhododendron and following wooden boardwalks through lush fields to visit several tumbling waterfalls. 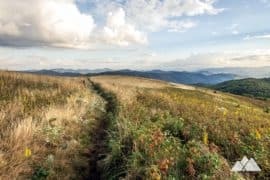 This is a heavily-traveled and well-loved trail, so as always, it’s imperative to leave no trace and stay on the trail to help preserve the beauty of this unique forest system. Just east of town, the headwaters of the mighty Catawba River tumble and spill through a sun-dappled, rocky forest. 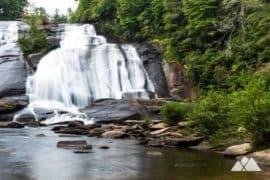 Follow the Catawba Falls Trail along the river, catching view after view of small cascades along the way. 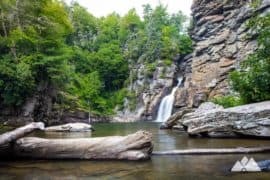 The trail ends at the base of an enormous, moss-covered cliff, where Catawba Falls plunges in tendrils of whitewater and mist into a chilly, clear pool below. 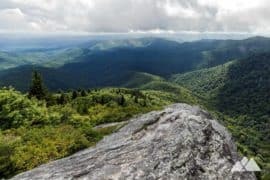 This is one of the most popular day hikes on the Appalachian Trail in NC – and for a very good reason. 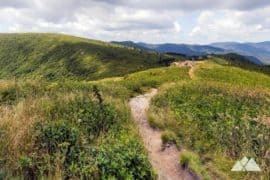 Max Patch is an enormous, domed mountain bald that’s covered in golden grasses and tall, wind-blown wildflowers, offering outstanding views of the Smoky Mountains and Mount Mitchell on the far horizon. 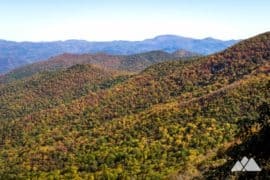 Hike a moderate 1.5 mile loop over and around the summit, or follow the Appalachian Trail from Lemon Gap on a 10.5-mile adventure. No matter your route, plan to arrive early as the parking area fills up fast – and please remember to leave no trace to help preserve the epic beauty of this sun-drenched mountaintop. Rising high from the surrounding forest, this enormous domed rock is an iconic sight on the nearby Blue Ridge Parkway. Enormous, curved walls of granite ring the mountain’s tree-topped dome, falling in sheer dropoffs. 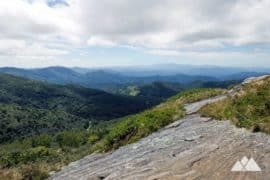 Hike to the summit on the Looking Glass Rock Trail to catch panoramic views from an overlook near the top, stretching far and wide. 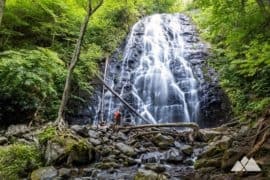 At just under a mile, this is the shortest hike on our list, but the beauty of these waterfalls make it well worth the stop. 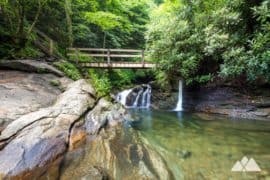 Hike from the Looking Glass Rock overlook on the Blue Ridge Parkway, dropping through a rocky forest to Skinny Dip Falls. This series of waterfalls cascades over colorful rock into crystal-clear pools of chilly water, making it a popular summertime destination. 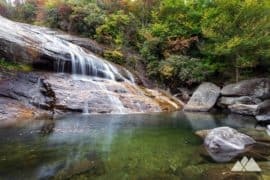 Hike early for the best shot of solitude at these ultra-popular falls, and the chance to catch the sun’s first golden rays streaming through the forest. 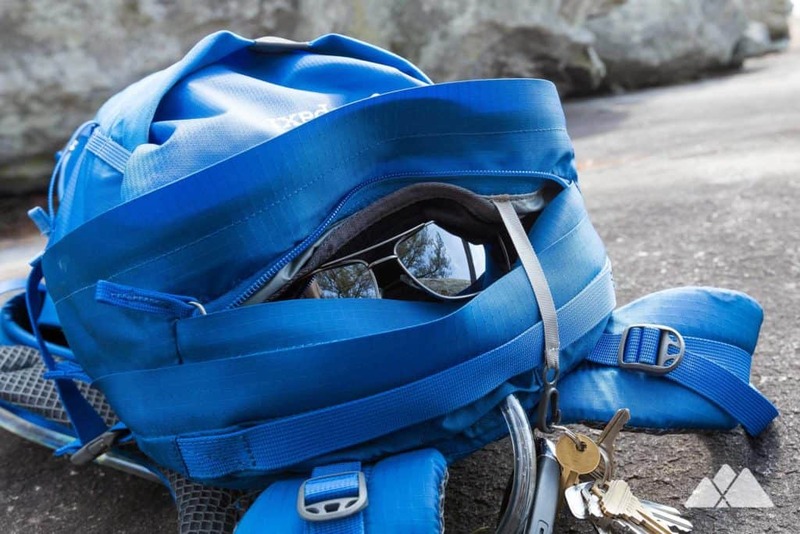 Ready to hit the trail, but wondering what to pack? 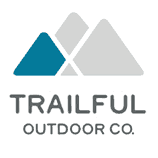 Our hiking gear list features our favorite, trail-tested hiking gear for day hikes on local trails and in the North Carolina wilderness. 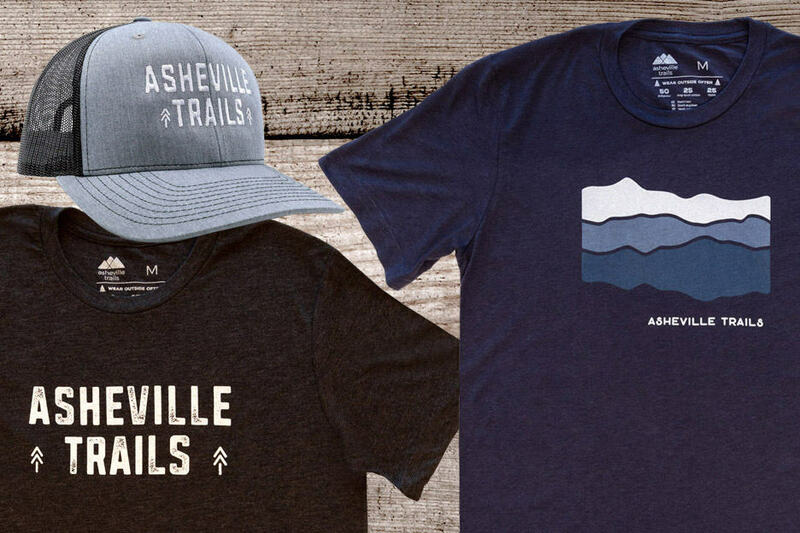 We print and stitch our Asheville Trails shirts and hats locally in Asheville and Atlanta, and they’re our favorite for trail adventures all over the South. And no matter what you pack in, pack it all back out. 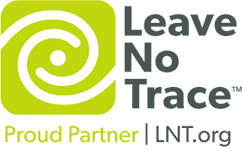 Please leave no trace and help preserve the beauty of Western NC. 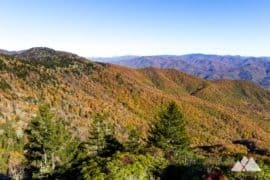 The NC mountains are simply spectacular. 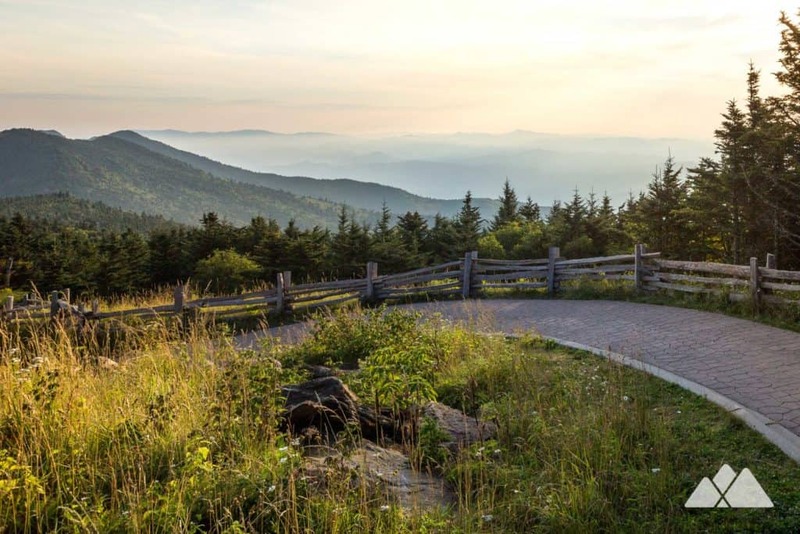 Follow our top ten favorite trails to some of the Blue Ridge Parkway’s best views, climbing to sun-drenched mountain summits and breathtaking overlooks. 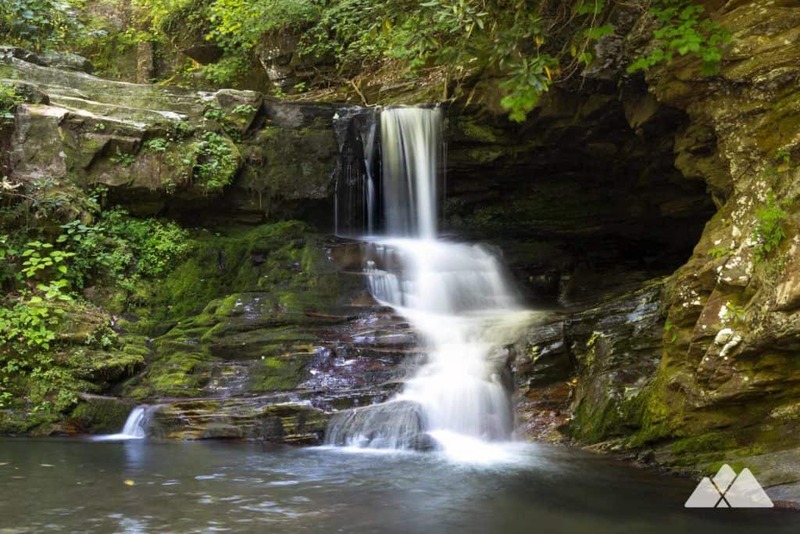 Chase some seriously beautiful cascading falls on our favorite hikes to waterfalls near Asheville. 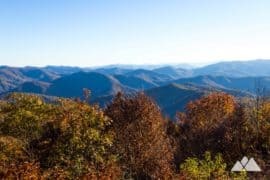 Or climb to outstanding vistas and historic fire lookout towers on soaring mountaintops on our favorite hikes on the Appalachian Trail in North Carolina.